I am fascinated with the Gospel of Thomas, not only as an ancient document, but also as a document interpreted by modern minds. I have spent the majority of my academic career studying this engimatic text and trying to come to terms with it. I have written extensively on this Gospel, including my last two companion volumes both published by T & T Clark-Continuum (see side illustrations). I also have written a succinct summary of my research and understanding of the Gospel of Thomas, which appears in Expository Times 118:10. It is called simply "The Gospel of Thomas." I am in the middle of writing a book for general audiences, a book in which I am taking my academic research on Thomas and sharing it in a more accessible reader-friendly format. I haven't settled on a title yet, but will post it as soon as I do. What are some of my main conclusions about the Gospel of Thomas? It is a rolling corpus, a written gospel that developed over time within a rhetorical environment dominated by oral consciousness. This is a "living book" model, envisioning the literacy of the gospel in continuity with the oral world. The derivation of the gospel develops out of a dynamic oral-literate interplay. This is be distinguished from our previous models which understood orality to be the "background" for the written gospel or understood literacy to be everything, a post-Gutenberg cut-and-paste mentality. It began as a smaller gospel of Jesus' sayings, organized as a speech handbook to aid the memory of preachers. I call the earliest version of the Gospel of Thomas, the Kernel Thomas. The Kernel Thomas originated from the mission of the Jerusalem Church between the years 30-50 CE. It was taken to Edessa where it was used by the Syrian Christians as a storage site for words of Jesus. Its main use in the Syrian Church was instructional. The Kernel sayings were subjected to oral reperformances, which was the main way that the text was enhanced with additional sayings and interpretations. This does not mean that literary sources did not effect its growth, but that the process was not one of an author sitting down with a pen in hand and editing a couple of written sources together. Later sayings accrued in the Kernel gradually as the gospel moved in and out of oral and written formats. The Gospel of Thomas can be read as a document that reflects shifts in the consistuency of its caretakers (from Jew to Gentile) and its theology (from apocalyptic to mystical). 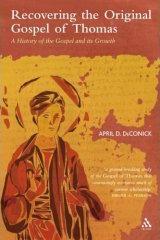 The Gospel came into its present form around the year 120 CE. In its final form it is both encratic and mystical, the result of the interiorization of the apocalypse in face of its failure to materialize according to the earlier expectations of the Syrian Christians. The encratism and mysticism in this text developed in tandem with Alexandrian Christianity, probably the result of exchange of ideas and texts that took place along the trade routes and roads from Edessa to Alexandria. The adaptation of this Gospel from 50 to 120 CE did not occur as a conscious program to alter the sayings of Jesus, but was the result of shifts in communal memory as past recollections of the group were updated and renewed in and for the group's present. Where did the Gospel of Thomas come from? We have known about the existence of an early Christian gospel named the Gospel of Thomas since the early third century because it is mentioned by Hippolytus, who even quotes an elaborate recension of saying 4. In the late 1800s, Professors Grenfell and Hunt dug up a hoard of papyri in Oxyrhyncus, Egypt. Three of these Greek papyri fragments are pages of the Gospel of Thomas, although their identification as such was not made certain until the 1950s when a full Coptic version was noticed among another papyri find from 1945 near Nag Hammadi, Egypt. This latter find was a cache of leather bound books - we have twelve of the books and part of the thirteenth - and these are housed today in Old Cairo at the beautiful Coptic Museum. The three Oxyrhynchus fragments are housed today at Harvard, Oxford, and British Library. How does the Gospel of Thomas compare to the New Testament gospels? The Gospel of Thomas is quite different from the New Testament gospels in that it is a gospel of sayings of Jesus. Most sayings are introduced with the simple attribution "Jesus said," one listed after the other. Narrative is practically absent from the Gospel of Thomas, at least in terms of the type of narrative details and elaborate settings for the sayings that we find in the New Testament gospels. In this way, the Gospel of Thomas is closer in genre to the reconstructed Q, the synoptic sayings source that has been postulated as a major literary source for Matthew and Luke. The Gospel of Thomas is not Q, but it does represent the type of gospel that Q might have been. There are a number of sayings of Jesus that we find in the synoptic gospels that have parallels (although in different recensions) in the Gospel of Thomas. There are several sayings in Thomas that have parallels in John, but on the level of thematic allusions rather than direct recensions. And there are a number of sayings in the Gospel of Thomas that are unique, unparalleled in the New Testament gospels. What is Thomas' relationship to the New Testament Gospels? Since the discovery and translation of the Gospel of Thomas in the 1950s, scholars have mainly been in two camps on this. Either they argue that Thomas is a gospel that was based on the New Testament gospels and "perverted" the sayings to meet some heretical theological agenda, or they argue that Thomas is a gospel that was independent from the New Testament gospels and preserved sayings of Jesus from an early Jewish Christian literary source or from early oral tradition. There are good (and bad) arguments for both cases, and essentially the field is at a stalemate on the question. My own work is trying to get us past this, to think about it in different terms. If the Gospel of Thomas is a text that was very old and grew over time, then we probably have a complicated relationship to the New Testament gospels. On the one hand we would expect some of the sayings in the Gospel of Thomas to represent early independent traditions, before the Synoptics were even written. But as the Gospel of Thomas was adapted over time, its sayings naturally would be adjusted to the knowledge of other texts and to the memory of other texts. Add to this the fact that scribes when copying and translating texts into new languages felt quite free to alter the wording to fit more precisely their knowledge and memory of other texts, and we have a very complex situation of secondary orality and scribal adaptation. By the way, we find all of these operational in the Gospel of Thomas I think. So what this means is that arguments for dependence aren't going to cut it anymore. We have before us the difficult task of figuring out what type of dependence we are talking about, alongside the acknowledgment that dependence in our late document does not necessarily mean dependence of the original Gospel of Thomas on the Synoptics. Is the Gospel of Thomas Gnostic? The quick answer to this is "no." The esotericism in this gospel has been misunderstood and mislabeled from the very beginning of its interpretative history. The reason for this has to do with the fact that until the Nag Hammadi texts were found, we didn't know what Gnostic really was. Scholars tended to apply it very loosely to any text or tradition that they believed to be dualistic and anti-world or body, which expressed the opinion that within the human being was "light" redeemable through gnosis or knowledge. After studying the Nag Hammadi texts for fifty years, we now realize that this is a nonsense definition because it is so broad as to be useless. Gnostic mythology has a couple of distinctive features: the belief that this world was created by a lesser (ignorant or arrogant) being known as the Demiurge; and the belief that this world is the result of the fall of an Aeon from the Godhead, usually Sophia. Neither of these are found in the Gospel of Thomas. 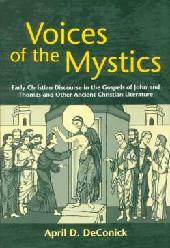 Instead the esotericism in the Gospel of Thomas is a form of early Christian mysticism. It was a contemplative type of Christianity that grew in Syria as well as Alexandria. The idea was that each person had the choice to grow into God's Image or to remain stunted due to Adam's decision. If the person chose to grow, then the divinization process was gradual and included not only ritual activities like baptism and eucharist, but also instructional and contemplative activities. Part of the process then was living as Jesus lived - it was imitative. The other part was contemplating who and where Jesus was. This contemplative life led to heavenly (or interiorized) journeys and visions of God. Eventually the faithful would become like Jesus, replacing their fallen image with the image of God. This contemplative Christianity is not heretical, but an early form of eastern orthodoxy! Why wasn't the Gospel of Thomas included in the New Testament? support the theology of the framers of the canon - which Thomas didn't, since it was anti-marriage and pro-mysticism or "revelatory"
What does the Gospel of Thomas tell us about Jesus? Given its use by at least two heretical groups in the third century, its emphasis on seeking new revelation, its stance against marriage and procreation, and its limited distribution and use in liturgy, it didn't have a chance to become part of the New Testament. This gospel understands Jesus to be a charismatic figure. By this I mean, Jesus continues to live in their community even after he has died. His spirit continues to speak to this community of faithful, and they continue to record his teachings. They do not appear to have made any distinction between the "historical" Jesus before death and the "spirit" Jesus after death, at least in terms of authority or historicity of his words. The Jesus that emerges in the Gospel of Thomas is not entirely foreign to the New Testament portrayals, particularly as we see him emerge in the Gospel of John - but also, as we see him in Mark, teaching publicly to the crowds and privately his mysteries to a few close followers. His message is either similar to the New Testament Jesus, or contiguous with him. He teaches against carnality and succumbing to bodily desire. He's an advocate for celibacy. He preaches that the Kingdom of God is here, that people must make a choice whether to enter it or not, that this choice requires an exclusive commitment to him and God, that the going is tough and few will be able to make it. He demands a lifestyle of righteous living, promises rewards including personal transformation and revelation.